Enjoy Premium hosting with unlimited disk space, unlimited data transfer, 50GB email storage and unlimited FTP accounts. Shop professional hosting with unlimited data transfer, 500 GB disk space, 50 GB email storage and 100 domain pointers. Get this web hosting packages are packed with features including 300 GB disk space, unlimited data transfer and 20 GB email storage. Premium Doitmyself-Ecommerce Simple, flexible solution for selling online. Everything you need to create a professional website design for yourself and get it online instantly. Is the discount valid for first term only? Yes, the coupon you use with your plan for the first time is only applicable to the price for the first term. After that, the plan will be renewed at the regular rates. However, you can use renewal coupons as well when renewing your plan. It can save you some money or in some cases get you the same price as your first term. How often are coupon codes released for Register.com? Register.com is one of the most popular domain and hosting websites for small businesses. You can find many valid coupon codes for their products year round. New coupons are released every few weeks and stay valid for a few months. Coupons for special occasions are only valid for a limited time and are also released in a limited amount. Is there a free trial at Register.com? No, Regsiter.com does not offer a free trial. However, you can cancel your plan at any time. They also offer monthly payment structure, in which case, you only pay for the months you have used the service. If you signed up for an annual term, you may not be able to get a refund for the remaining term. Register.com is a digital solutions provider for small businesses including domain, hosting, security, marketing, and email. With over 50 products, Register.com helps over 3 million small businesses around the world. It is a Web.com company that is the go-to choice for new small startups. Register.com is a great place for startups as they can find helpful tools to grow their business in one place. With Register.com coupons you can save so much on almost every product there is. The web hosting plans at Register.com are very cheap and provide you with powerful servers with high security. As Regsiter.com caters to small business, you can get shared web hosting on this platform. You can choose Unix or Windows. Register.com offers affordable DIY as well as other options for building your website from scratch. DIY website builder plan starts at as low as $12.95 per month. You can build your website with a simple drag and drop tool. This also includes domain registration and website hosting. Those looking to start their online store can find plenty of helpful tools on Register.com. From building your website to setting up the store, and to managing payments, Register.com can help you do all that. Plans start at just $9.95 per month. They have helped create thousands of successful online stores. Email solutions at Register.com are cheap and scalable. As your business grows, you can easily upgrade to a bigger plan. Email plans start at just $4.99 per month. With multiple mailboxes and plenty of storage, you can efficiently manage your business emails. The SSL certificate solutions at Register.com offer great value as they are priced quite cheap in comparison with other SSL providers. 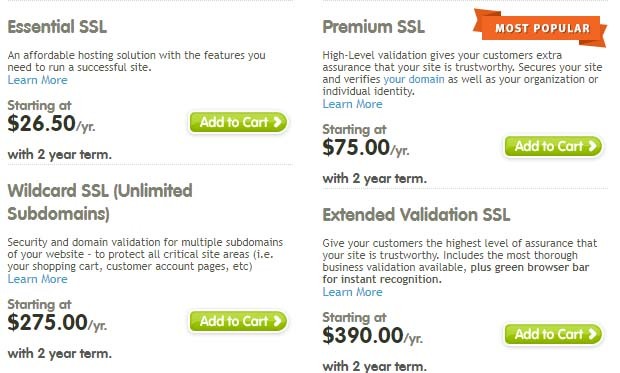 The Essential SSL is only $26.50 per year whereas the Premium SSL starts at $75.00 per year. They also have WildCard SSL and Extended Validation SSL at $275 per year and $390 per year respectively. Applying Coupon codes at Register.com is very easy. Just Follow these steps. 2. Search your perfect domain. 5. Congratulations! Coupon code applied and you got your discount.